Quickly detecting every poliovirus is critical to achieve a polio-free Pakistan. Surveillance officers like Dr Nosheen Safdar work hard to make sure no poliovirus escapes detection. 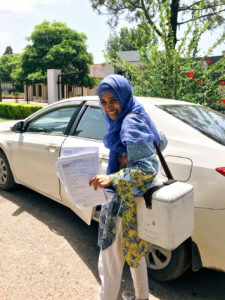 Dr Nosheen Safdar works as a Divisional Polio Surveillance Officer in Pakistan’s capital, Islamabad. A medical doctor, Dr Safdar has worked with the polio eradication programme for the past eight years. Surveillance officers like Dr Safdar work with one aim: to detect and stop polioviruses from circulating before they have a chance to paralyze a child. As the sun rises, a health worker carefully pulls on gloves, a protective coat, and rubber boots, and climbs into a shallow stream located next to a market on the outskirts of Islamabad. His job? To collect a sample of the slow-moving sewage water that flows through the city. 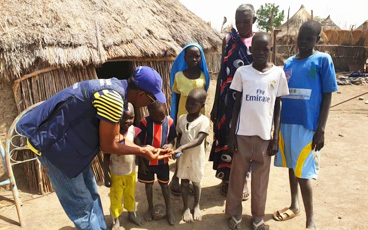 This is environmental disease surveillance – sampling sewage at select points in cities and towns to test for the presence of the poliovirus, and to measure the quality of polio immunization activities. In Pakistan, there are currently 57 sampling sites spread over 31 cities. This is the largest environmental surveillance network of any country in the world. The collected sewage is transferred to a small container, packaged carefully and placed in a cool-box. It will be sent to the Regional Reference Laboratory for Polio Eradication in Islamabad for testing. 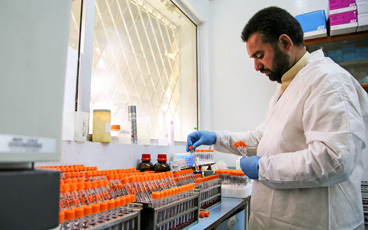 Each year, the lab tests thousands of environmental and stool samples from Pakistan and Afghanistan. The vast majority of these samples come back negative for polio. However, the tiny fraction of positive results tells the programme where the virus may be hiding. Every time a sample is collected at this site, Dr Safdar observes the process to make sure that a high quality sample is sent to the lab. 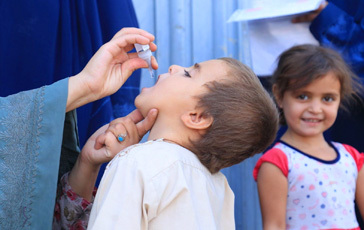 “Testing sewage water for the presence of poliovirus is very important as it gives us the information if children in a given area are at risk of polio,” she says. By midday, Dr Safdar is visiting the Children’s Hospital at the Pakistan Institute of Medical Sciences. At the hospital, Dr Safdar reviews records of every doctor’s appointment. She is looking for cases of acute flaccid paralysis (AFP) – the key sign of poliovirus infection. Staff in all health facilities are asked to report every case of AFP in any child under 15 years of age. 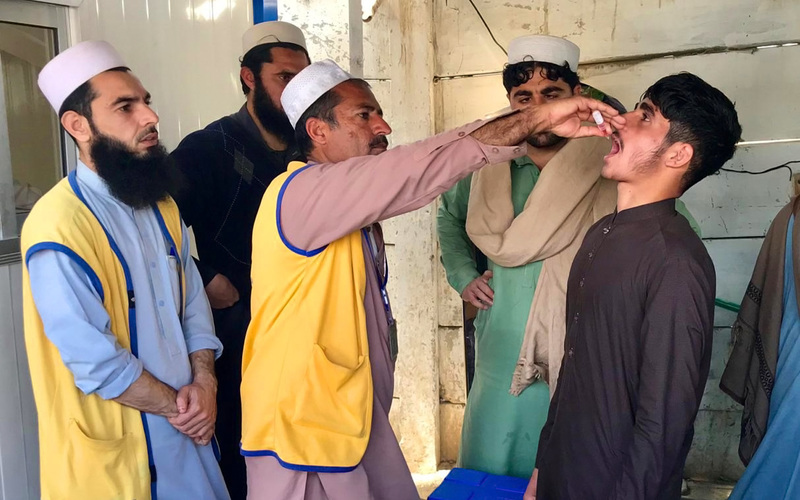 Every suspected case acts as a signal that polio might be circulating in the area, and triggers an investigation by the polio eradication programme. 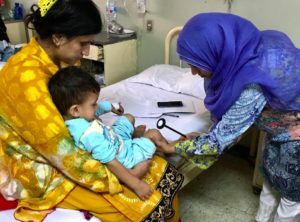 As she looks through the records, Dr Safdar checks if the nurses know what the symptoms of polio are, and what they need to do if a child with AFP is brought in. 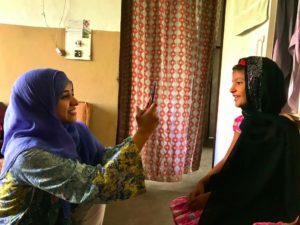 Before she leaves, Dr Safdar visits a 4-year old child suffering paralysis. She speaks to the child’s mother, and makes detailed notes, noting immunization status, travel history, and the child’s previous illnesses. She performs a detailed neurological examination and checks reflexes to confirm if the child is suffering from polio. Dr Safdar hands over stool collection kits to the nurses. They will ensure that adequate samples are collected to investigate the cause of the child’s paralysis in the laboratory. “The poliovirus lives in intestines, where it multiplies, and is finally excreted. This is why only through testing stool samples from paralysed children we can find out if polio was the cause,” explains Dr Safdar. Dr Safdar’s work for the day is not yet done. After leaving the hospital, she visits a girl who developed partial facial paralysis a few weeks previously. For every suspected polio case, a 60-day follow-up consultation is conducted by the polio programme to check for long term paralysis. This takes place whether the paralysis was caused by polio or not. To her family’s joy, this girl has fully recovered from her facial paralysis – a happy ending for her, and a positive outcome for Dr Safdar. Whilst the girl’s mother offers tea, Dr Safdar writes down her final observations, and closes the case. As night falls, Dr Safdar makes her way back to the Islamabad Polio Control Room, to report back on her day at an all-staff meeting. “It’s important that we meet daily to all be on the same page and discuss cases that need particular attention and what can be improved,” explains Dr Safdar. The team also receives updates on planned supplementary immunization activities and routine immunization. 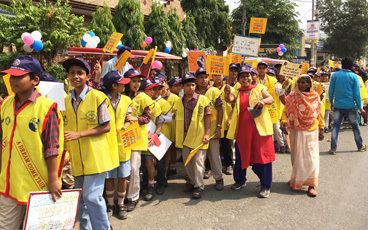 As she heads home, Dr Safdar knows that the work to eradicate polio is not over. Tomorrow she will continue to track down the virus, working hard to ensure that her two children grow up in a polio-free world.